Mike Bush concentrates his practice in the areas of corporate and business law. He has provided corporate and business representation for many corporations, concentrating primarily in the industries of manufacturing, health care and banking. He provides on-going corporate counsel to approximately twenty business corporations in Mississippi and is local counsel to several large out-of-state public companies. 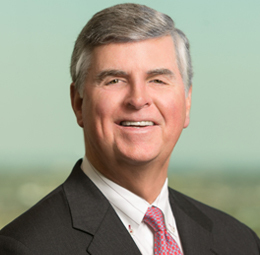 He has represented out-of-state companies in locating or expanding facilities in Mississippi, particularly with a view toward maximizing tax and other incentives offered by the State of Mississippi. 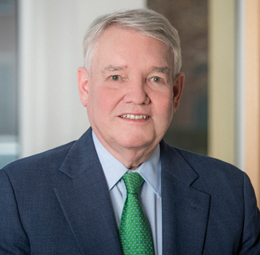 Mr. Bush has also worked in the area of municipal finance, having served as underwriters’ counsel, bond counsel, and trustees’ counsel. He has represented both buyers and sellers in a variety of acquisition transactions involving public and private companies in taxable and tax-free transactions. Representation of not-for-profit hospital in acquisition of large multi-specialty clinic. Representation of publicly held national bank in defending hostile take-over attempt by out-of-state bank. Representation of Fortune 500 company in bond financing of substantial expansion of meat processing facilities in Mississippi. Representation of privately-held out-of-state furniture company in asset acquisition of publicly held local furniture manufacturing company. Representation of large privately-held company in establishment of major warehouse facility in Mississippi. Representation of golf club manufacturer in acquisition of manufacturing facility in Mississippi. Representation of Tennessee seller in sale of electrical contracting company in Florida to investor group. Representation of local garment manufacturing company in relocation of operations to the Dominican Republic. Representation of garment company in acquiring and disposing of manufacturing facilities in Mexico. Representation of local bed-manufacturing company in merger with public company. Representation of manufacturer of copper fittings company in expansion. Representation of buyer of a professional sports team.